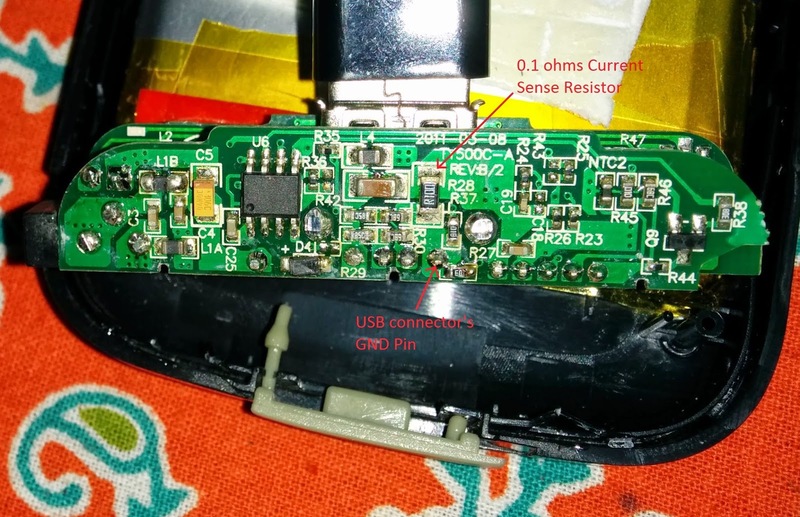 Electronics FAQ: Replacing the current sense resistor in Portable Chargers/Power Banks for powering low power DIY projects. Replacing the current sense resistor in Portable Chargers/Power Banks for powering low power DIY projects. 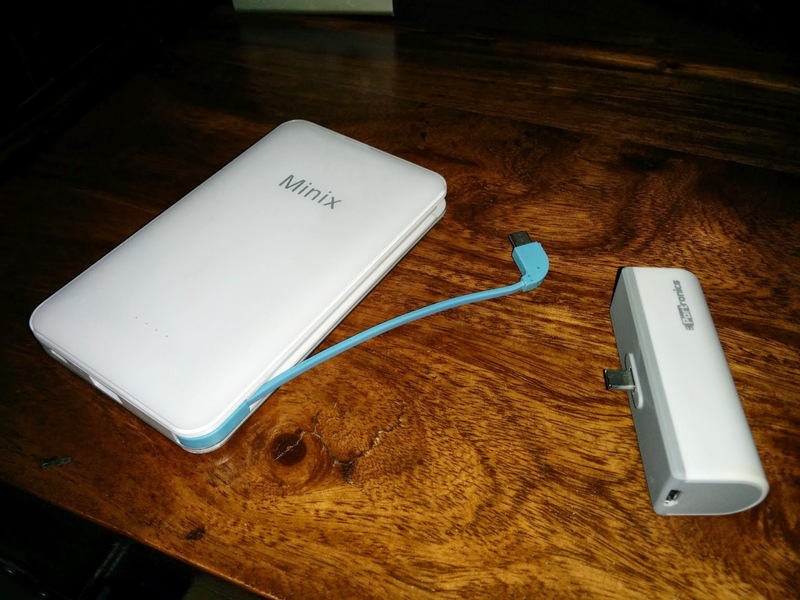 Mobile Phone/Tablet charging Power Banks can be used to power so many DIY projects. But if your project is low power and draws very little current, the power bank will auto turn off after a few seconds thinking that it isn't being used to charge gadget (because the current draw is very low). I need to figure out a way to hack one and locate and replace the current sense resistor with one of a higher value. Here is how I did it. I measured the voltage across it when nothing was connected. It was zero volts and the portable charger turned off in a few seconds when nothing was being charged. I now disconnected the galaxy tab and tried powering my arduino circuit which I knew for sure was drawing very very less current because the charger used to keep turning off after a few seconds. The low current drawn by Arduino didn't cause appreciable voltage drop across the current sense resistor and so the charger decided to turn off. When I measured the voltage across the 0.1 ohm current sense resistor while powering the arduino circuit, the multimeter didnt even register a reading - even on the lowest range. On a hunch I replaced the 0.1 ohm SMD resistor with a 1/4 watt 10 ohm thru hole resistor. I figured, that USB ports provide upto 500 mA of current and so the phone must be drawing that much current when charging while my arduino circuit would only be drawing a few mA of current (maybe 5 mA coz it had a 7 segment display on it). So i increased the value of the current sense 100 times. Also 10 ohms was the least value I had in my resistor collection. After replacing the resistor, I measured the voltage across it while powering the Arduino. It was now 0.07 volts and now the power bank wouldn't turn off!!! OMG it's alive! and doesn't auto turn off now! The latest portable chargers like the ones in the picture below now longer have any kind of switch on them. They just have a two USB connectors on them - one to charge the cell phones (output port) and other one to charge the charger themselves (input port). The chargers automatically detect if something is plugged into their output connector and automatically turn on. These chargers don't care about how much current you are drawing - any amount is okay - as long as there is a cable connected from their output port to something that can draw some current from them. 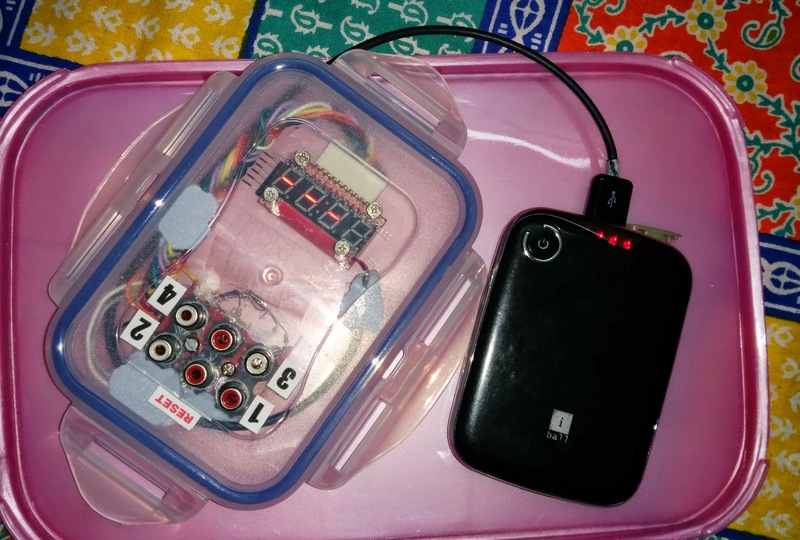 I tried to use the power bank to power my Arduino, but it turns off, so I wonder, wouldn't it be easier for me and others who don't wish to open the power bank and lose the warranty to just add another load besides the Arduino to draw more power and stop the power bank from sleeping (turning off). Or even a rechargeable battery in some configuration so that when the battery is full, it will power the Arduino, and when it needs charging, then it will draw power from the power bank resulting in supplying power to itself and the Arduino as well. This was just a thought, what do think .... ? @mohammad, I began with the same idea, but then decided that since my power bank was old anyway and out of warranty, it wouldn't really matter if I hacked it. Say your arduino is drawing only a few milliamperes, you will need to add a load big enough to draw atleast 100mA if you want the power bank to not turn off. Besides that load generating heat, the power bank itself will run out of charge soon - not a good idea if you want long operating times. If you still don't want to hack your power bank, go for the newer power banks which don't have any buttons, and only get turned on and off depending on if something is connected to their USB port or not. They dont really care about home much current is drawn - check out the Minix and Portronics chargers in the photo above. There is an eveready one without the switch too which sells for Rs. 450. Thanks for your article. 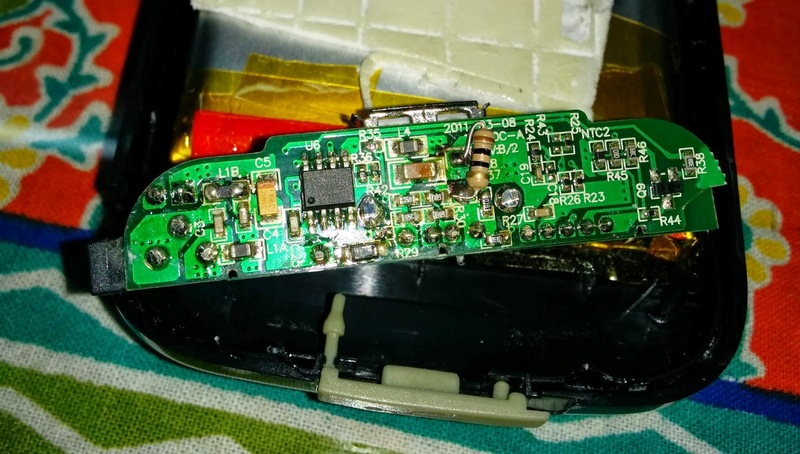 I bought a Tecknet Powerbank 9000mAh and after opened it I found a big R050 resistor near 1A output plug. I replaced it with 6 ohms, 10, 20 and 30 ohms resistors, but nothing works, it still power off. An idea of what I can test ? could this be cause insted by the cable having slipt a tad? THANKS for sharing your experience..but a question is also iritated me in your picture smd resistance is R100 thats mean 100 ohm and the colour coded resistance which is BROWN BLACK BLACK thats mean it's also a 100 ohm resistance bt it's a 1/4 watt resistance...so my question is what is important resistance value or watt. You can build a PJRC circuit for external solutions, this won't void warranty. I had the same issue, needing to power an arduino from a large "smart" power bank that just cut out. Found a far simpler solution - add a cheap little rectangular power bank, one too cheap to have any of this smart electronics, in series. So I plug my arduino into the cheap power bank, then plug the cheap one into the big smart one. The arduino runs happily from the cheap one. The cheap one charges from the big one, and the current draw is high enough for it to work. It's quite inefficient really, running two charging circuits, but I am adding some extra storage which may compensate for that. Much easier than pulling them apart and fixing them. Hope it helps someone. I have bookmarked your website because Click the Following Post this site contains valuable information in it. I am really happy with articles quality and presentation. Thanks a lot for keeping great stuff. I am very much thankful for this site. I have a similiar money problem and the holidays are here! When it comes to finances this is nice, though: Non ChexSystems Banks in 2018 You shouldn't be afraid of the banks, I say. SMD Resistors < 100 Ohms are marked with R that stands for the decimal point. R100 as Circuit Designer rightly mentioned, is .100 i.e. 0.1 Ohms.